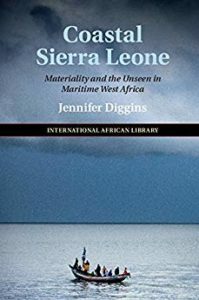 Diggins, Jennifer, Coastal Sierra Leone: Materiality and the Unseen in Maritime West Africa. 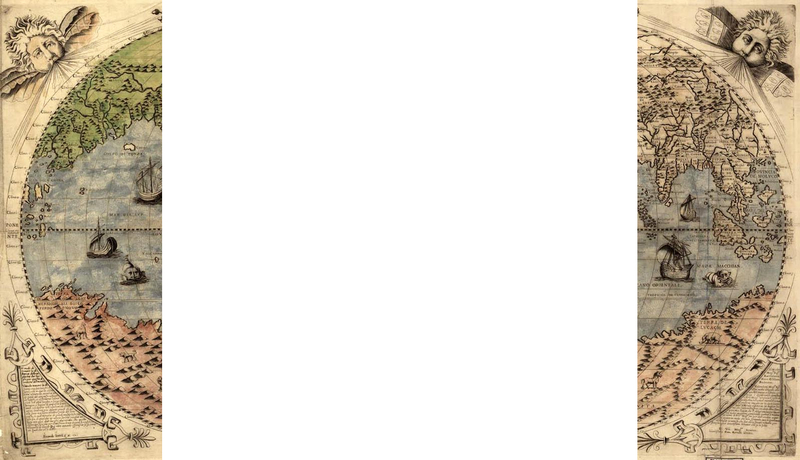 Cambridge University Press, $94.99 (236p)ISBN 978-1-108-47116-9. Coastal Sierra Leone provides its reader a refreshing, twenty-first-century ethnographic account of the material and cultural capitals that shape the coastal fishing town of Tissana in Sierra Leone. From the perspective of a culturally-sensitive anthropologist, the work highlights how intimate relationships in a fragile economic system provide stability for the men and women in this frontier fishing community. The story of Tissana, and the issues that its community members face is told through a series of vignettes; the voices of the people who live in Tissana interpolate the text, invigorating and complementing Diggins’ findings and conclusions. In her overarching argument, Diggins explains that migration, environmental decline, and political insecurity in the region collectively generated a tight-knit coastal town where social relationships, gift economies, and secrets help define Tissana’s cultural landscape and the people within it. The work is divided into five major thematic topics: environmental decline in the region, gendered relationships which influence economic ties, networks that developed from the consequences of dwindling food resources, power struggles between young migrant workers and more established fishermen, and the rising power of immaterial agencies in “everyday economic negotiations” (210). An example of how social and economic relationships intertwine is Diggins’ discussion of kustoment, a reciprocated relationship between a fisherman and banda woman (fish processor). For many fishermen, the sustainability of fishing has declined rapidly in the past two generations along the Sierra Leone coast, largely in part to industrialized commercial fishing and climate change. As a consequence, fisherman develop a trust-based relationship with one specific banda woman, and should the fisherman go into debt because of inadequate fishing opportunities, she loans him money, only asking that he pay her back little-by-little. The banda woman profits from the fisherman’s debt, as it generates a sense of loyalty (i.e. he is less likely to sell to another banda woman). Kustoment is simply more than a transactional exchange between fisherman and buyer— it is an intimate and interdependent relationship in which a businesswoman and fisherman rely upon one another. It is also an example, as Diggins points out, of how women are powerful members of Tissana; they determine the market value of the fish when men return with their catch and are central to the economic balance of the community (97-8). Her portrayal of women along the Sierra Leone coast is one of empowerment, pushing back against many of the assumptions made about the oppressive state of women in the region. The discussion of gender dynamics is consistently interwoven in the book, as Diggins describes the differences between maritime and coastal occupations. Women overwhelming occupy the smokehouses on land, while Tissana fisherman are predominantly on the ocean. As a woman, Diggins was not allowed to join the male fishing crew on their day trips. However, in Coastal Sierra Leone, she relates the increasing economic challenges that the men face while at sea with interviews with the men themselves. The sea, for many of the men, offered a new opportunity at sustainable livelihood, unique from the village life and the stifling labour of agrarianism (64). Yet the ocean is capricious, and while men compete with the sea, each other, and mega-industrial fishing companies, women, who are “unable to venture out to sea themselves, [perceive the oceanscape] through a lens of half-trust and uncertainty” (21). The strength of this work rests on its approachability as an informed ethnographic study of the community of Tissana and the surrounding area. The text is far more than a distanced ethnographic observation. Rather, it is a richly articulated, cogent, and sympathetic view into a community that must daily navigate through the economic uncertainty of a globalizing world. Coastal Sierra Leone exists at the intersection of multiple different fields, making it valuable for different readers. Those interested in the economic and social systems of the region would benefit greatly from this text. Other readers, including those interested in environmental impact studies, gender relations, and to a lesser extent those interested in spirituality, fetishism, and immaterial agencies (such as blessings, curses, etc.) can benefit from the stories shared in the work.